A good example of a simple pop up store with no outside cladding or finish. 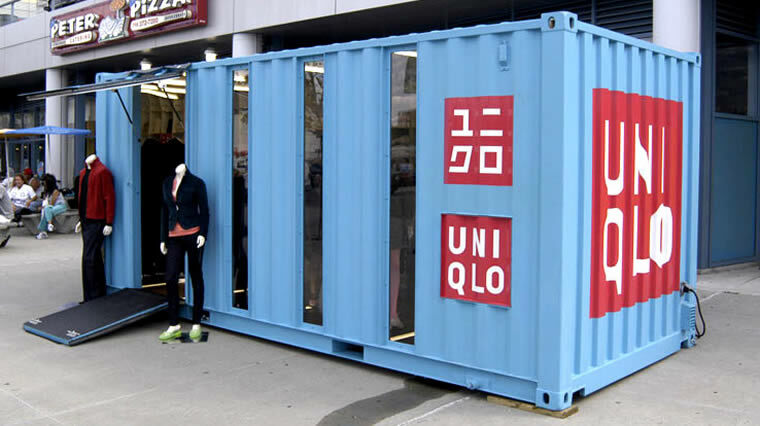 Demonstrates how suitable containers are for pop up retail stores with a great lay out inside. This Uniqlo Japanese clothing store is located in New York and was designed by LOT-EK. Easy to make, easy to locate, secure what more could you want!